Orchard Drive serves just two adjoining properties and is accessed via St Leonards Road which is considered as one of Hythe's prime locations, very close to the prestigious Fisherman's Beach development and moments from the unspoilt seafront of this ancient Cinque Ports Town, with its long stretches of unspoilt shingle beaches. The house is also on a level approach to the Royal Military Canal and to the nearby bustling High Street which enjoys a variety of independent shops, boutiques, cafes, bars and restaurants. In addition there are 4 supermarkets (including Waitrose, Sainsbury and Aldi). There is also a selection of sports and leisure facilities in the vicinity including tennis, bowls, cricket, squash and sailing clubs as well as other water sports facilities. Hythe Bay Primary School is also very accessible. The larger town of Folkestone is around 5 miles and the Cathedral City of Canterbury is approximately 17 miles distant. This substantial semi detached chalet bungalow enjoys a delightfully secluded situation at the end of a long private driveway shared with just it and its neighbour. The property offers comfortably proportioned and versatile accommodation which, although requiring a little TLC in parts, has the potential to provide a particularly comfortable home. The accommodation currently comprises an entrance hall, sitting room, kitchen, dining room (potential 3rd bedroom), two double bedrooms and a bathroom. Should additional space be required there is considerable scope to extend (subject to all necessary consents and approvals being obtained). 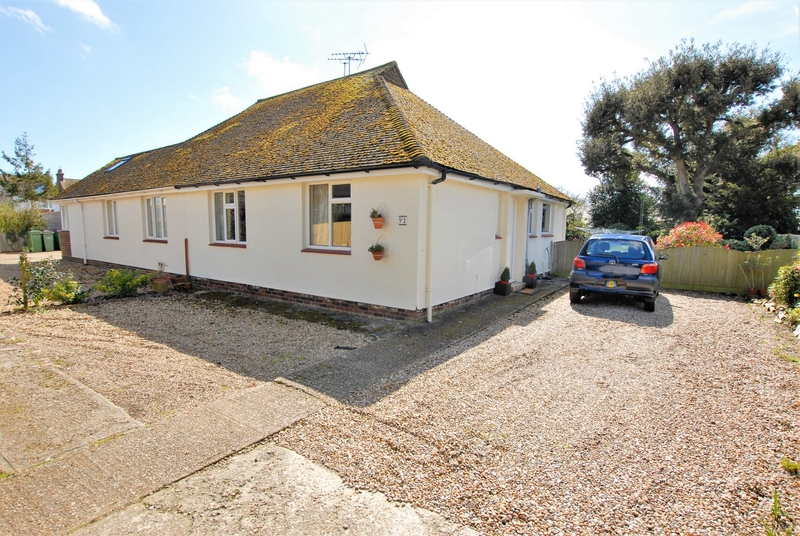 There is ample parking to the front and side of the property, which is particularly rare in central Hythe, and the delightful garden to the rear enjoys a sunny southerly aspect.